Throughout its long history, and not just as the key aesthetic category for the Romantic Movement, the sublime has created the necessary link between aesthetic and moral judgment, offering the prospect of transcending the limits of measurement, even imagination. The best of science makes genuine claims to the sublime. For in science, as in art, every day brings the entirely new, the extreme, and the unrepresentable. How does one depict negative mass, for example, orthe folding of a protein that is contagious? Can one capture emergent phenomena as they emerge? Science is continually faced with describing that which is beyond. This book, through contributions from nine prominent scholars, tackles that challenge. 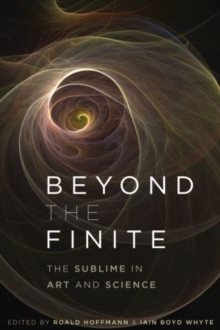 The explorations within Beyond the Finite range from the images taken by the Hubble Telescope to David Bohm's quantum romanticism, from Kant and Burke to a "downward spiraling infinity" of the 21st century sublime, all lucid yet transcendent. Squarely positioned at the interface between science and art, this volume's chapters capture a remarkable variety of perspectives, with neuroscience, chemistry,astronomy, physics, film, painting and music discussed in relation to the sublime experience, topics surely to peak the interest of academics and students studying the sublime in various disciplines.